I never used to be into conservation. I didn’t know what an eco-footprint was and I didn’t care. My diet mainly consisted of meat, cheese and a side of potatoes. But all that changed when I started working for a volunteering organisation. Through their wildlife conservation programs, I started learning about deforestation, the bleaching of coral reefs and that Laos was a country. My role eventually exposed me to a documentary called Cowspiracy. It shattered reality as I knew it and turned me into a vegetarian overnight. Since then, I’ve become more and more interested in reducing my carbon footprint on the planet – especially when I travel. Whether you’re shopping for yourself or you have no clue what to give the tree hugging intrepid vegan in your life, I’ve got you boo. 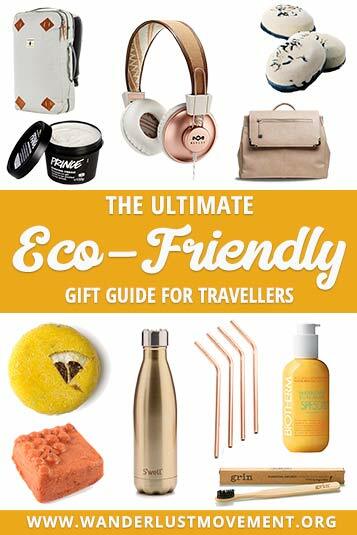 Here is my eco-friendly travel gift guide! When you’re gallivanting across the world, you’re going to have to wash your hair or brush your teeth at some point. Help cut down on the plastic waste with these naked travel-sized toiletries. Not only will it help the environment, but you don’t have to worry about those pesky liquid restrictions for flights. You can use them as stocking fillers or put together a little self-care package for you or the traveller in your life. I always make sure I have one of each before I hit the road. Not only do they last for more than two months, but the bars smell amazing! Can’t decide what to get? 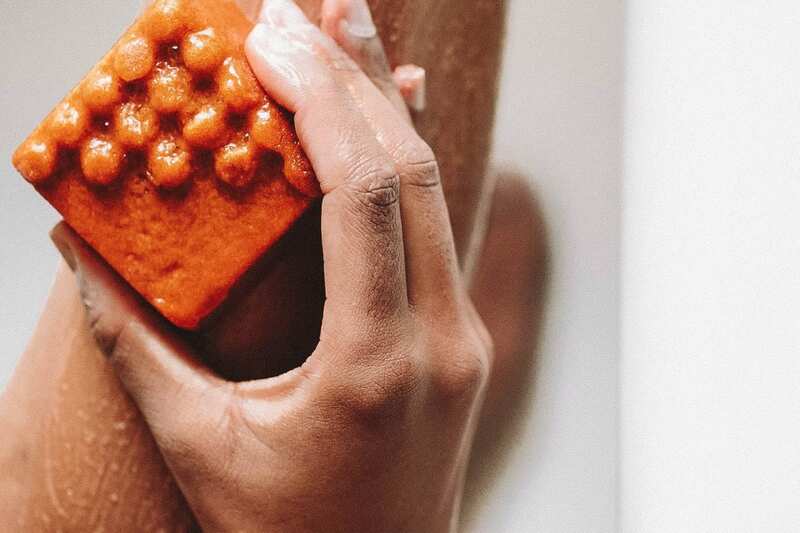 Pick up the cinnamon shampoo bar and the Sugar Daddy-O solid conditioner. If you haven’t heard, aerosol deodorants aren’t helping out fight against global warming. Keep your carbon footprint small by switching out your can for the Aromaco solid deodorant bar. Bonus: It won’t get confiscated by airport security. Travelling, especially air travel doesn’t do wonders for the skin. Stock up on some solid face and body wash to keep pimples and dry skin at bay. If you’re prone to breakouts after long-haul flights, put the Coal Face facial soap in your carry-on luggage. Once you land, exfoliate your skin with The Rough and Smooth body scrub bar. Worried your naked products are going to cause havoc in your bag? Lush sells tin containers that you can keep your goodies in and re-use once you’re done. 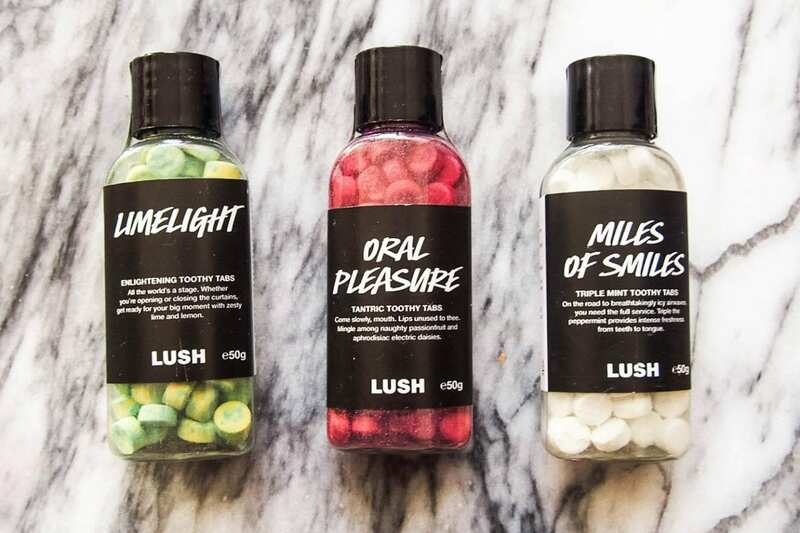 Lush offers a solid alternative to plastic toothpaste bottles. The toothy tabs come in travel-sized 50ml bottles, and all you need is a nibble to create some bubbles. 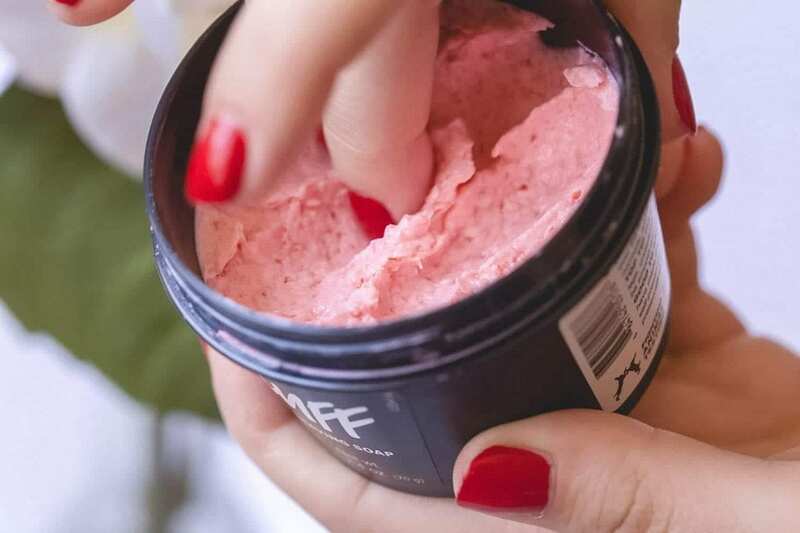 All of Lush’s bottles are recyclable and if you return five empty containers to a store – you’ll get a free face mask! One of my favourite products from Lush is their shaving soap. The D’fluff product, in particular, has stolen my heart. It comes in a tub that won’t take up much space in your bag and is full of ingredients that moisturise your legs at the same time. Think about how many toothbrushes you go through a year? How about in a lifetime? Add a bamboo one to your travel kit and be kinder to the environment. 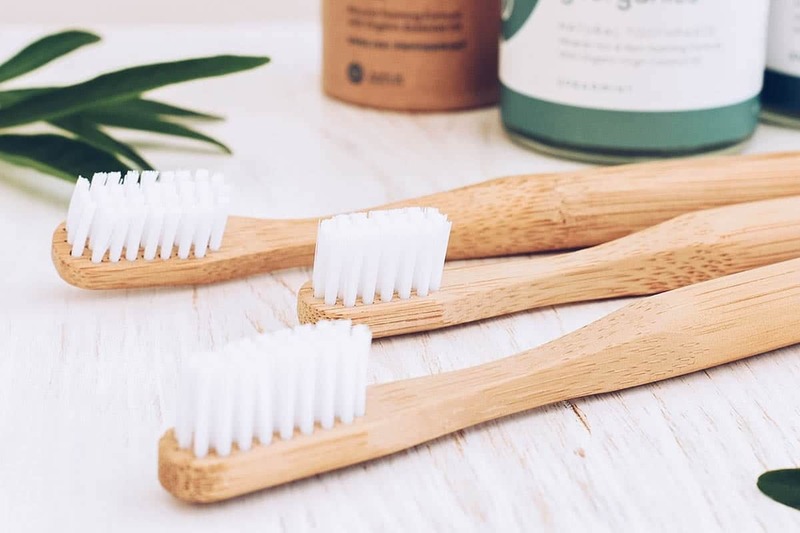 Try picking up one with charcoal activated brushes to help remove any stains from your teeth. If you’re planning to escape to the coast for the holidays, stock up on a bottle organic sun lotion. 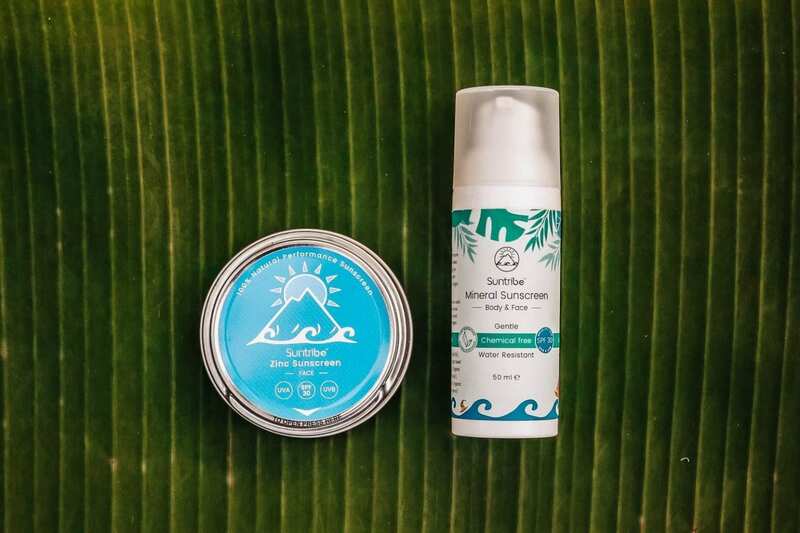 With no nasty chemicals, it’s 100% ocean-friendly, and you can enjoy snorkelling, diving or swimming without damaging the coral reefs. Gift yourself a moon cup this festive season! I know that sounds like such an exciting present, but it’s a small present that goes a long way. Tampons and sanitary towels are not biodegradable. 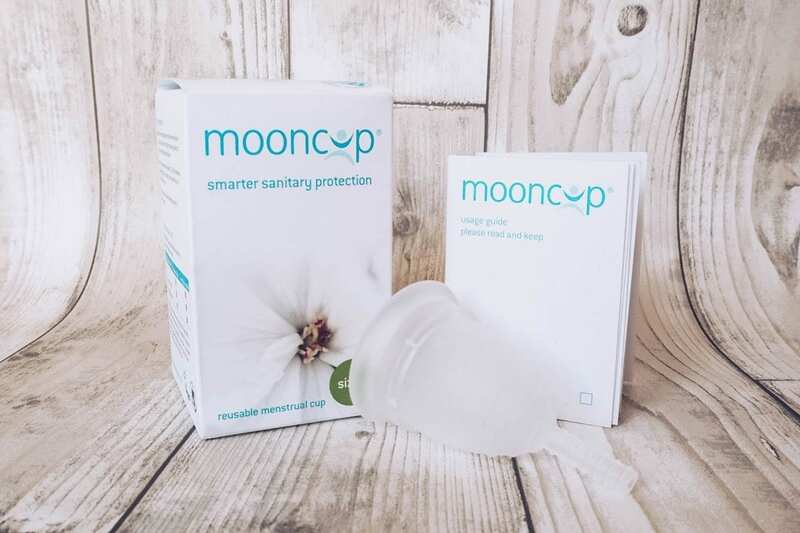 By switching to a moon cup when you travel, you won’t contribute to the waste problems in developing countries as well as your own. The two things that you’re guaranteed to do on any trip is eating and drinking. But the way we do it is not always sustainable. 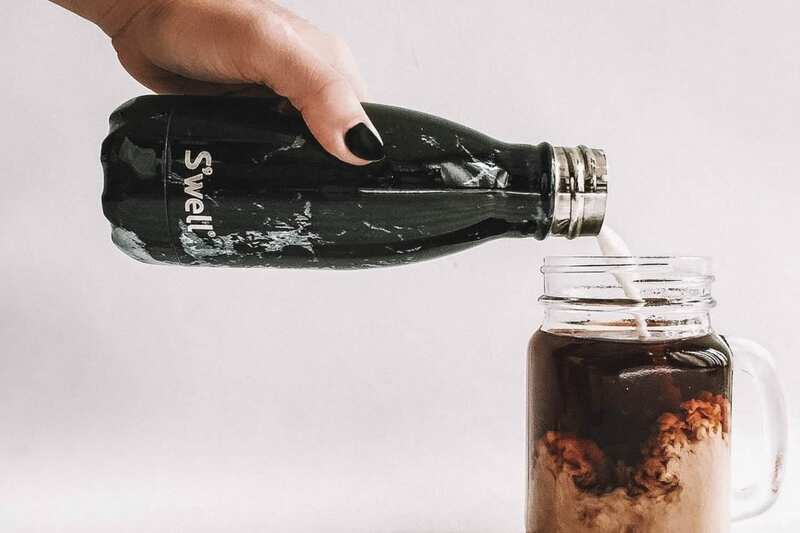 From plastic straws to plastic bottles and even the cutlery, none of these items are kind to the environment. 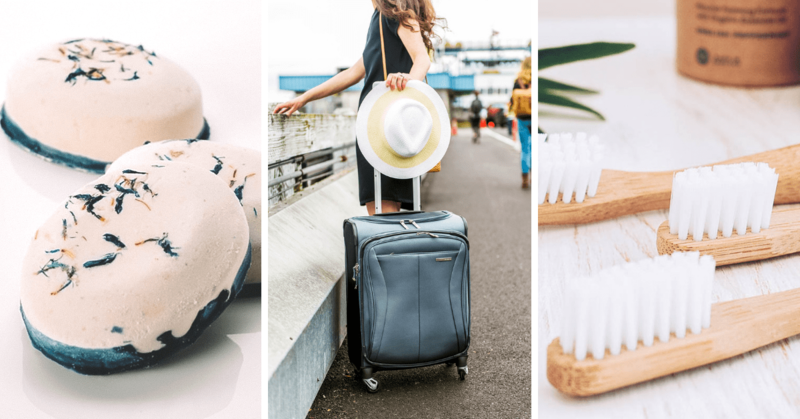 These eco-friendly products won’t take up much space in your luggage and will bring you one step closer to reducing the amount of plastic waste you create. Stay hydrated as you explore the bustling streets of Bangkok with a stainless steel water bottle. Typo has a range of options that are BPA-free and will keep your drink cool in the heat. Another great eco-friendly option is Tree Tribes. For each bottle you purchase, ten trees are planted. Next time you’re grabbing street food, say no thanks to the plastic cutlery. 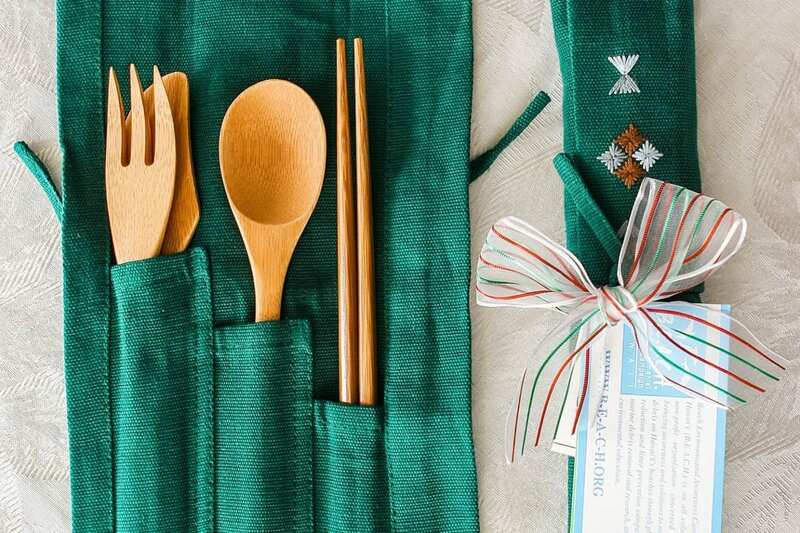 Keep a bamboo fork, knife, and spoon set in your bag, and you’ll never have to choose between the environment and eating with your hands again. 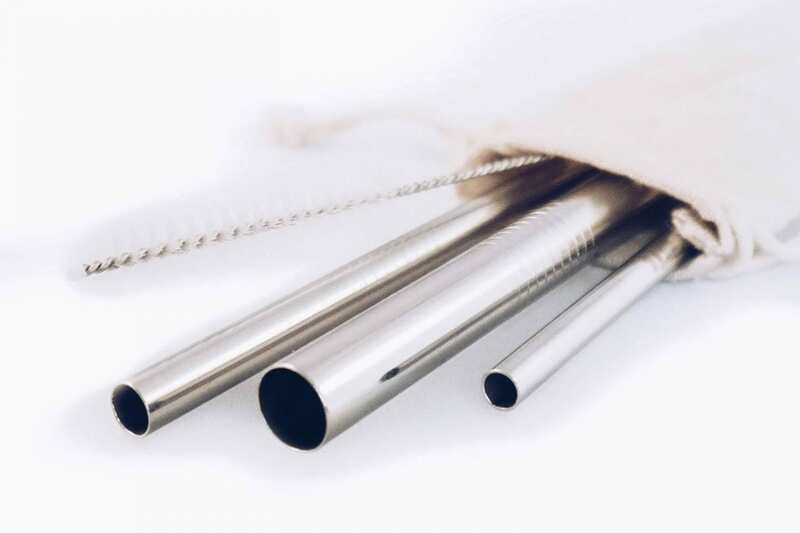 With more and more countries and companies saying no to plastic straws, it’s time to do your part when you travel. Keep a few of these bad boys in your luggage and pop them into a drink of your choice. Just make sure you take it with you when you’re done. Whether you’re going away for the weekend, a month or a year – you need a well-made backpack or suitcase to see you through your travels. Luckily, there are plenty of eco-friendly luggage options out there. From backpacks to cute camera bags – you won’t have to spend hours trolling the internet to find something you like. Life’s too short for fugly camera bags. I’m so passionate about that last sentence that I even have a whole post dedicated to beautiful vegan camera bags. If you’re looking for the perfect companion to your travels that isn’t going to scream “EXPENSIVE GEAR” or ruin your outfit – ya girl has you covered. I’m a sucker for a good backpack. As someone who tries to live a sustainable lifestyle as much as possible, I love supporting companies that want to create a lasting social impact. 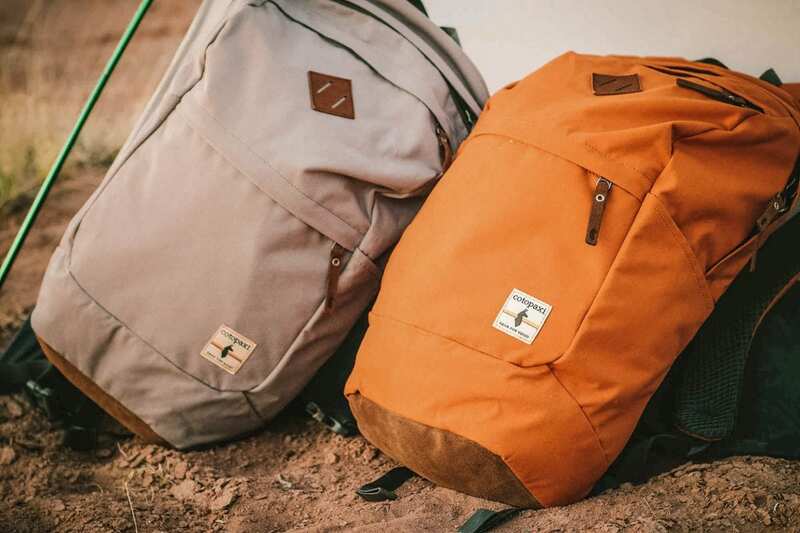 Cotopaxi is one of the best companies out there that makes well-made backpacks and gives back with their poverty alleviation project. Looking for something a bit bigger to see you through your travels? There are a few brands out there on a mission to make that possible without enlarging your carbon footprint. Samsonite has a whole eco range as well as Osprey and Eagle Creek. 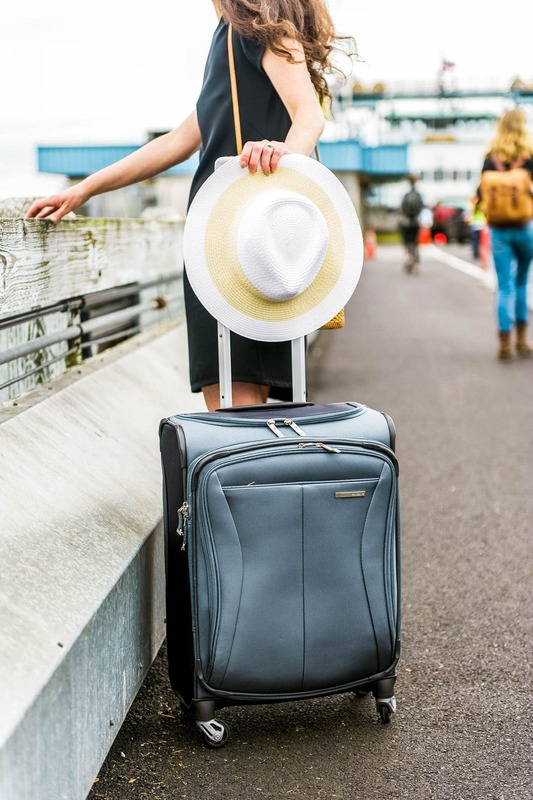 If your suitcase looks like a bomb went off the moment you open it when you arrive at your hotel – gift yourself some eco-friendly packing cubes. It’s an excellent way to keep all your shiz organised. Never again will you have to empty your entire bag on the floor to try to find that missing sock. With plastic waste getting a lot of news coverage lately, it’s easy to forget that we do a lot of other things that harm the environment. One of them is our reliance on electricity. Here are a few eco-friendly gadgets to help you use less energy while at home or abroad. 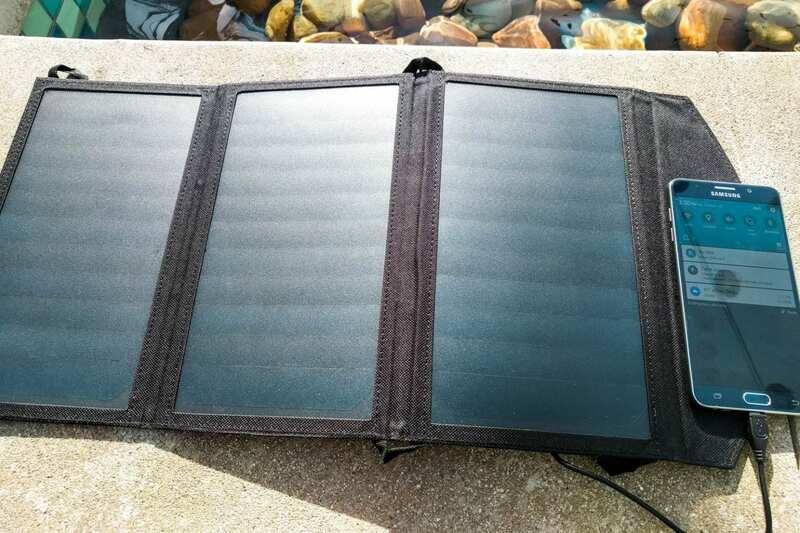 Use fewer resources by charging your devices with renewable energy. All you need to do is stick one of these bad boys in the sun, and you’re good to go. I highly recommend the 24W charger as it has triple USB ports and is waterproof. If there is one piece of gear that every traveller needs, it’s a pair of headphones. You can listen to your jams on the plane, or on the train while you’re in Spain. It also stops people from talking to you which is a gift in itself. 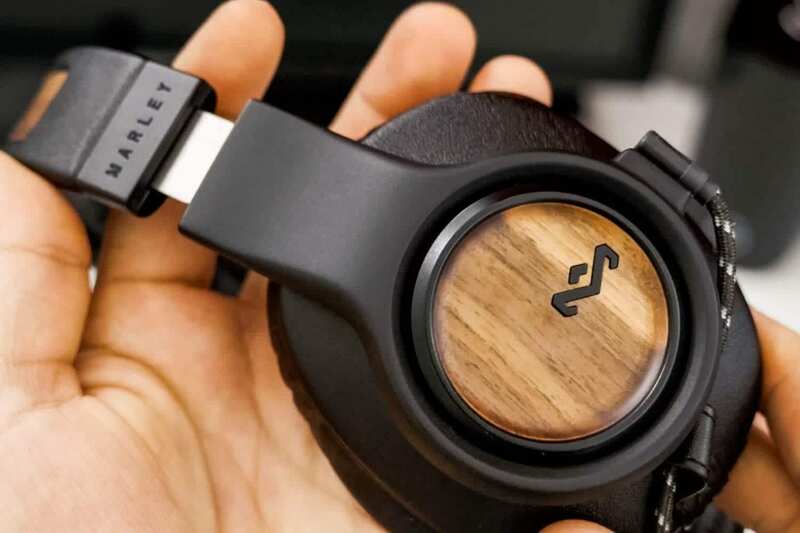 The House of Marley headphones are an excellent eco-friendly choice. 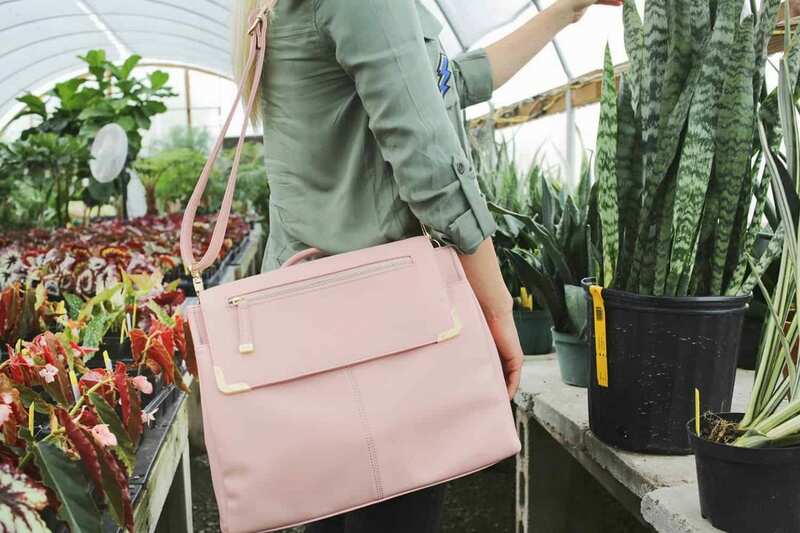 Made from recycled plastics, metals, and bamboo, it’s the perfect sustainable purchase. Are the mountains calling your name? Don’t answer that call until you have a Steri Pen. It’s a small device that can perform up to 60 purification treatments per set of batteries. You’ll get clean, fresh water wherever you wonder. 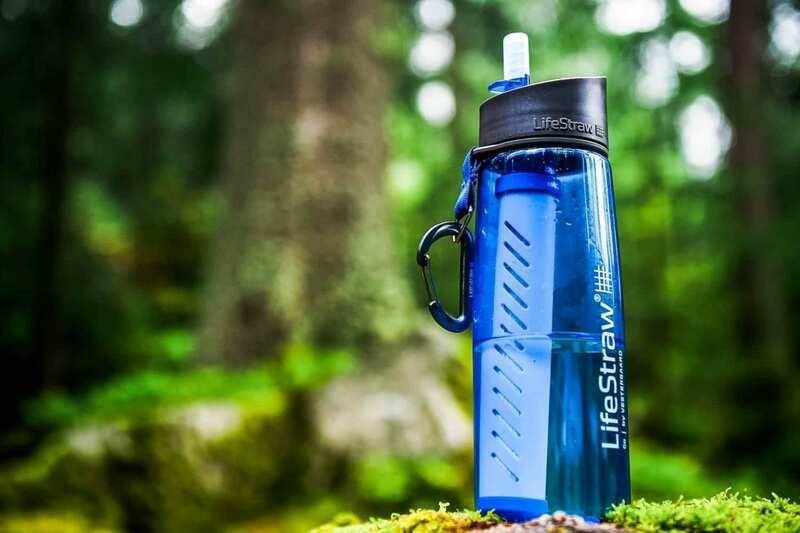 Another option that you can use is the LifeStraw Water Filter Bottle. I’ve had one for a few years and bring it with me on all my off-the-beaten-track adventures. Gift yourself with a tour from Intrepid. It’s a well-known travel company that offers trips to destinations all around the world. Intrepid is committed to running a sustainable and responsible travel experience, making it an excellent eco-friendly gift idea. 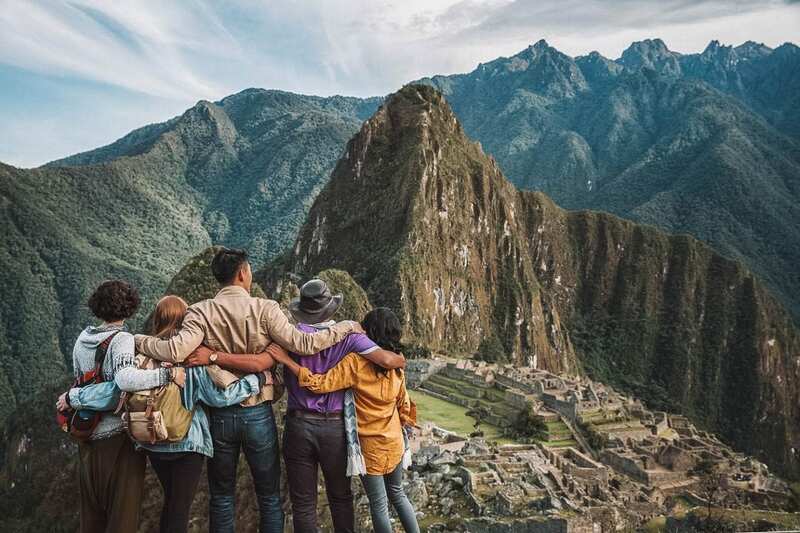 If you’re after adventure, you can’t go wrong with a G Adventures trip. The tour company has a range of options to suit all budgets and practices sustainable travel. For both companies, gift card options are available! Did you find an eco-friendly gift for someone else (slash yourself)? What’s on your wish list? Tell me know in the comments below! Travel with less on your next trip. Follow my minimalist packing guide & only leave home with the things you really need. Success! Check your email to download your minimalist backpacking checklist! GET YOUR FREE MINIMALIST BACKPACKING CHECK LIST! Thanks for all the tips, always want to be more eco friendly but it can sometimes feel overwhelming with so much info out there. I like how you have broken it down for me haha ! 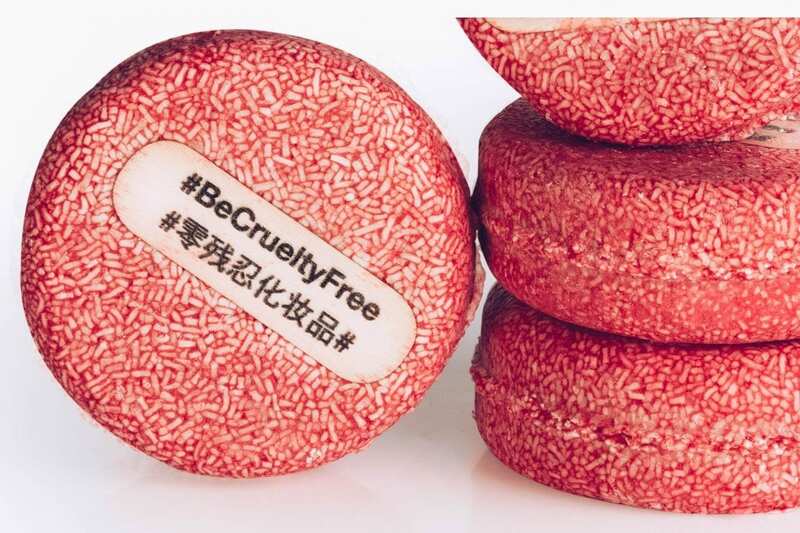 I’ve been trying to go more eco friendly this year – I’m obsessed with shampoo bars! Better for the environment and less liquids for carry ons! I definitely have to look into those backpacks. Great post! Same! 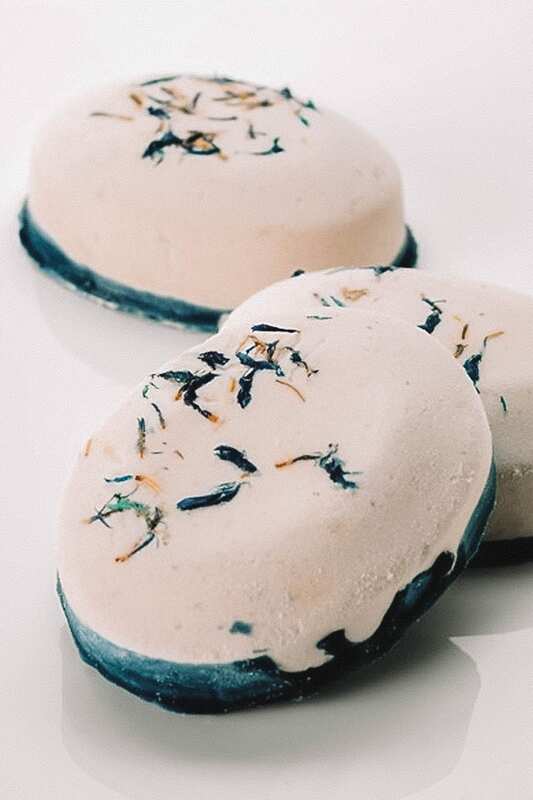 I didn’t even know shampoo bars were a thing until a few months ago – and I’ve fallen so hard!